It’s no longer a secret that the Philippines is home to some of the world’s best beaches. Earlier this year, Travel + Leisure Magazine ranked Palawan and Boracay, both in the Philippines, as the top 2 beaches in the world. This month, another survey published in an American news daily ranked Linapacan Island in Palawan, Philippines as the top beach in the world with the clearest waters to swim in (35 Clearest Waters in the World to Swim in Before You Die). 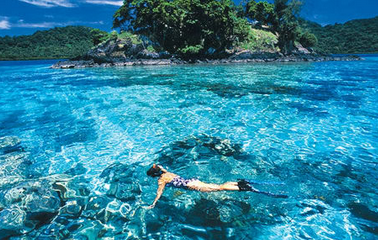 The list predominantly consist of European and South Pacific beaches and other bodies of water such as lakes, rivers and springs, but Palawan holds the crown in the top spot. The island is a remotely located province in the Philippines that is known for its clear waters, pristine beaches, and the Palawan underground river tour. This announcement came after El Nido in Palawan made it to the cover of Travel + Leisure Magazine last July. 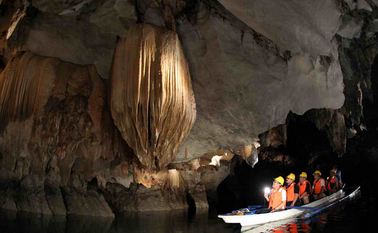 Palawan grabbed international attention after the Puerto Princesa Underground River was included in the new list of the Seven Wonders of Nature. The subterranean river which is presently a national park is protected under an international convention. It was named a UNESCO World Heritage Site in 1999 to join Palawan’s Tubbataha Reef which also gained UN recognition in 1993.